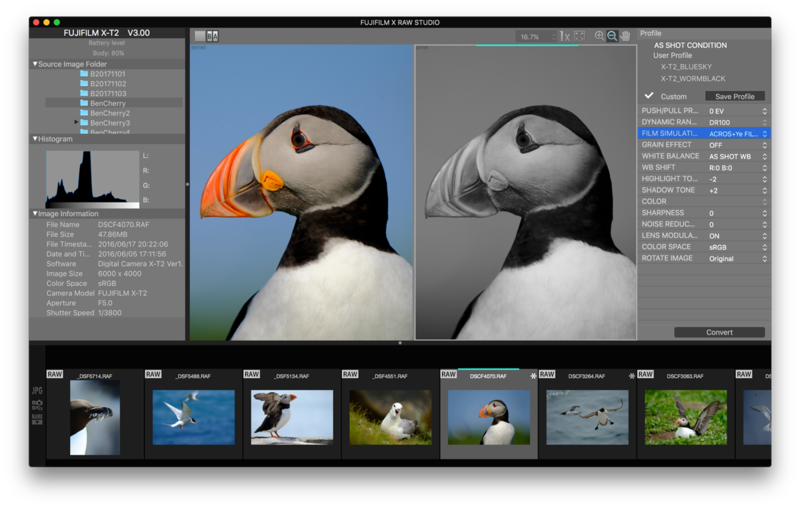 Fujifilm X Raw Studio for Windows was released today along with support for the Fujifilm X-H1. RAW Converter now supports the Fuji X-H1 also. The Download links are below. This entry was posted in Fujifilm X-H1, Software and tagged Fuji Rumors, Fuji X-H1, Fuji XH1, Fujifilm, Fujifilm Rumors, Fujifilm XH1, FujifilmRumors, Fujirumors. Bookmark the permalink. Trackbacks are closed, but you can post a comment.